Some People Are Born With It. Some Make It Happen. For those of you that were fortunate enough to have braces as a teen and are now in need of a little tweak or even those adults that have never had the luxury of having a healthy bite and straight beautiful teeth – Invisalign® is an easy and painless program to follow. It’s also easy on the pocketbook especially with our financing options! Are you ready for Cosmetic Dental Services to transform your smile? Invisalign® might the right choice for you. Invisalign® is a clear aligner that looks like a mouth guard but is actually a pioneering, custom fit, 3D printed aligner. Dr. Glaser will take an 3D smile scan of your teeth. The digital scan provides an accurate impression for better results. Software is used to fine-tune every shift in every tooth to get you the smile you want. It’s a road map to your new smile. Using software, Dr. Glaser can show you your new smile before you even get started. Once your digital plan is finalized, your custom aligners are made using a state-of-the-art 3D printing process. Perfect your smile with Invisalign! Discover how Glaser Dental can help restore your smile and confidence with this easy and painless program. Call 715-359-4344 now to schedule your consultation with Dr. Glaser to CUSTOM FIT YOUR INVISALIGN CLEAR ALIGNER – WAUSAU, ROTHSCHILD, WESTON. Besides chewing and looking beautiful when you smile, teeth support your face. Your lips, cheeks and your entire face looks younger when it is supported by the structure our teeth provide. When you are missing teeth you are missing out on looking your very best! A Dental Implant is used to replace a missing tooth. Implants are considered advances in modern dentistry but they actually have been used since the 1950’s. Learn what is possible with dental implants. From initial diagnosis, through restoration and aftercare. How expensive is it? Does it hurt? How long does it take? Yes, the science and technology have evolved but the premise remains unchanged. An implant is the closest in form and function to a natural tooth root that Dr. Glaser can provide patients. It does not matter how or why a tooth is missing, an implant can help complete your bite to its natural state. The implant screw mimics a natural tooth root. It is a surgical component that integrates with your jaw bone to create a stable base for the other components, or the prosthesis of the implant system. Prothesis included single tooth crowns, bridges or dentures that are anchored by your implant. Those who chose to forgo the implant and want to replace the “hole” where they are missing teeth are left with options that do not behave like a natural tooth in the way implants do. Traditional dentures and bridges will not promote the bone growth needed to maintain your facial features as you age. Technology provides a better solution to the problem of tooth loss: dental implants. A dental implant is simply an artificial root, which on healing, merges with the body and acts likes a natural one. Implants, like a natural tooth root, allow the force used while chewing to transmit to your jaw bone – promoting constant bone regeneration. This is why if left untreated, a missing tooth will result in bone loss- the force created while chewing keeps your bone “in shape”. If these forces cease, the bone may slowly recede and the shape of the face may change over time. Functionality and visual appearance go together. An implant-borne restoration looks like a natural tooth – there is simply no visible difference, and special care is not required. You can talk, smile, and eat! Sounds good right? You can lose the plastic on the roof of your mouth required for dentures, or the wires holding your removable partial in place. No more getting food caught or slippage while you talk. Going out to dinner at a restaurant will no longer be an issue! Conservative restoration versus a bridge. With a conventional bridge, the healthy neighboring teeth to the right and left of the missing tooth have to be ground down to be “prepped” for crowns to support the bridge. No neighbors were harmed in order to place this implant. Interested in Dental Implants! Glaser Dental can restore your smile and with a permanent solution. Call 715-359-4344 now to schedule your consultation. Dr. Glaser is your clear choice when choosing an IMPLANT PROVIDER – WAUSAU. Dream of teeth that feel and look like your natural ones? 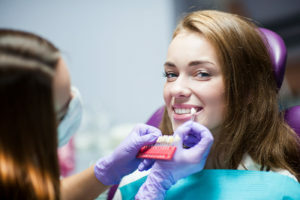 Then meet with Dr. Glaser and his team for a complete exam and discussion about your oral health goals and expectations. Dr. Glaser will take images, dental impressions, and a 3d scan of your mouth all in order for him to study your unique bite. Your work for this step is now done. Dr. Glaser will then go to work on a treatment plan, (a road map) for your case. Your treatment plan is just that -YOURS! Dr. Glaser understands that there are many factors that go into your oral health decisions. After he has designed your treatment road map he will invite you back into the office for a follow up discussion (consultation). During this get together Dr. Glaser will always present the BEST treatment and care (WIDIOM). In addition he will openly discuss all of your options and the pro’s and con’s to each. Having enough bone at the implant site is essential to the success of the procedure. There are several possible reasons you may not have enough bone. Perhaps your tooth has been missing for an extended period of time and the jawbone has started to recede. Another reason could be related to advanced periodontal disease (your bone may be diseased and degenerating). Dr. Glaser may discuss grafting bone in order to regenerate bone on the site. Implant site preparation and health is critical for success. Once you both agree an implant is your best option, its on to STEP TWO. “Success depends upon previous preparation, and without such preparation there is sure to be failure”. Not everyone needs extensive prep but most need some. You may need to have Dr. Glaser extract a tooth, have the hygiene team treat your gum disease, or maybe even have Dr. Glaser place a bone graft. The dental implant is technically just the root that is secured in the jawbone. Placing the dental implant is a short, simple procedure done under local anesthetic. The procedure usually takes about 1-2 hours. Will I leave that day with a tooth? If the implant is stable enough, we may place a provisional restoration (dental crown) on top of it. Another scenario would involve Dr. Glaser putting a healing collar on it. If the implant needs protection in order to be able to heal, we may leave the implant completely covered by the gums. Now we wait for your body to heal and the implant to become stable in your jawbone. This usually takes about six months. The healing phase usually lasts between 3-6 months. During this period, ideally, the bone around the implant grows and integrates with the implant surface – a process called osseointegration. Good oral hygiene is vital in the healing stage of the treatment.During this period you will be asked to maintain your regular hygiene schedule and oral health maintenance. An abutment is the small piece that sits on the implant screw and supports the final restoration. For the patients that had their implant left completely covered under the gums, placing an abutment, will require another visit. Under local anesthetic, Dr. Glaser will uncover the implant and places the abutment. It will take another 2-3 weeks for healing before you’re ready to have the final restoration placed. Implants are an excellent option and investment in your health. With the right aftercare, they could last for decades. 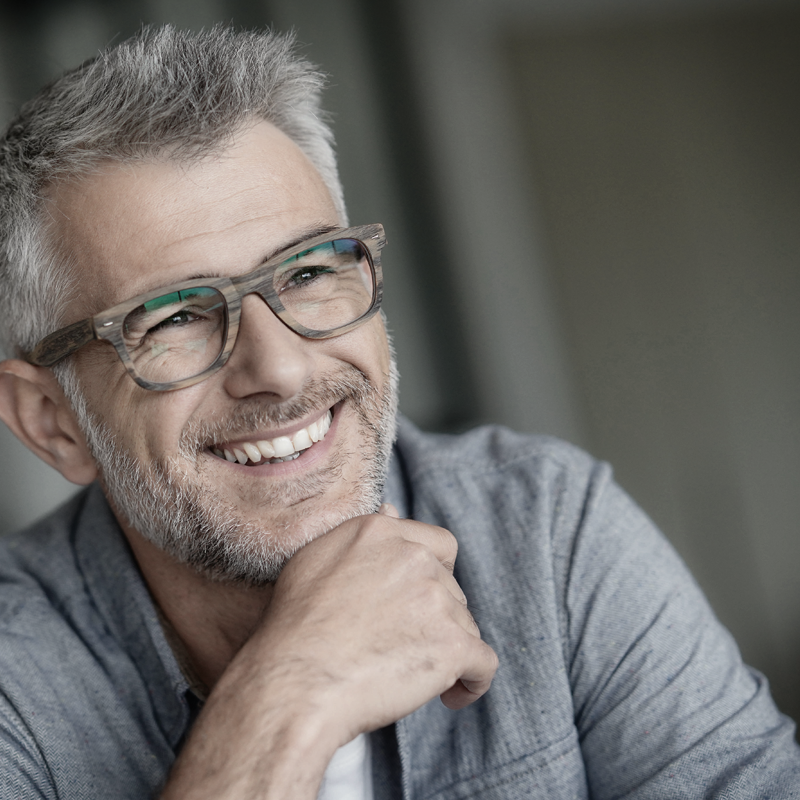 For such long-term success, taking care of your implant is important. As with natural teeth, implants require the same regular check-ups and conscientious oral hygiene. Periodontal disease, poor overall health and osteoporosis are a few of the reasons your implant may fail. Call 715-359-4344 now to schedule your free consultation for DENTAL IMPLANTS – WAUSAU. Who can get implants with Dr. Glaser? Once your jaw has stopped growing, if you have enough bone, and if you are in good overall health you should be a qualified candidate for a dental implant. What if I am not a current patient of Dr. Glaser? 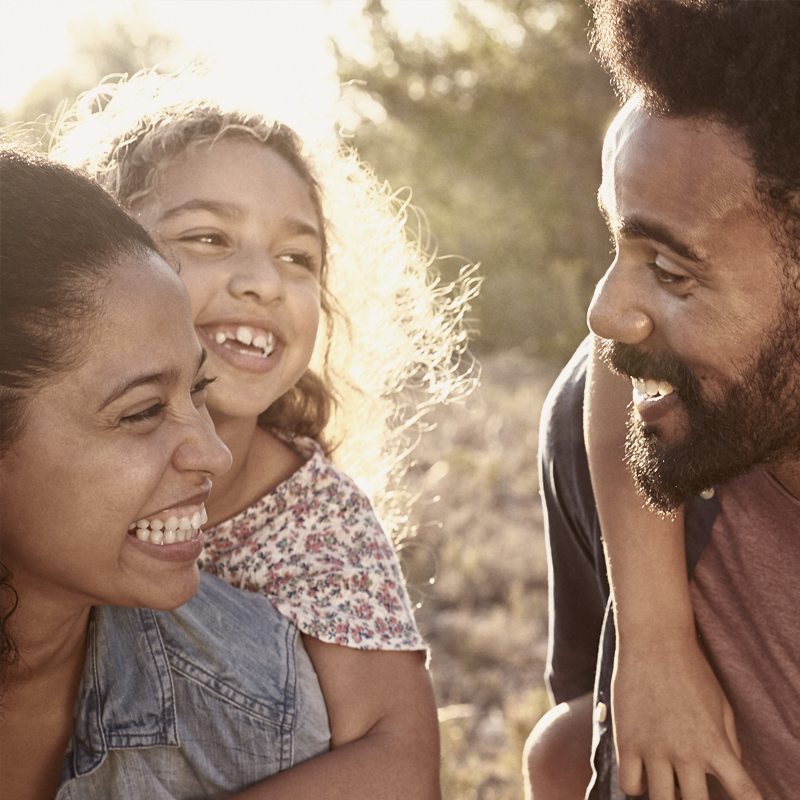 If you are not yet a part of our patient family, and do not currently have a dental provider make an appointment for a complimentary consultation regarding your specific situation. Once you and Dr. Glaser agree that an implant would be the best step for your oral health goals, he would welcome you into his patient family for not only the implant but its maintenance. Getting quality dental care means building great relationships and committing to moving forward as a team. If this is the type of philosophy of care you are looking for we are the team for you! If you currently have a regular dentist and you are happy with the care you receive there, a discussion with her or him would would be a great place for you to start your implant journey. That depends on how you value the form, function, comfort and appearance of your smile. 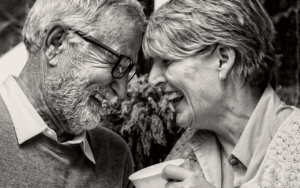 For most, the improved quality of life and comfort is priceless, others may feel they have different priorities and look for different ways to replace missing teeth. Dr. Glaser understands this is not a one size fits all world. He will always recommend the BEST treatment (WIDIOM) for his patients and he will openly discuss ALL of your options, the pro’s and con’s to each always keeping in mind your personal oral health goals. Dental Implants are an investment. We will make sure you understand the procedures associated with your particular case. Each procedure has a cost incurred with it both monetarily and in terms of time spent at the office. Procedures could include: tooth extraction, bone grafting, periodontal surgery prior to implant placement, the implant itself, the abutment and the prothesis(final restoration / what you see). Dr. Glaser and his treatment coordinator will be happy to outline all costs and ways to finance your smile journey. The same reasons that contributed to the original tooth loss (like gum disease and advanced decay) can easily lead to implant failure. You will need to be serious about your home care as well as seeing us for regular maintenance of your mouth. Regular cleanings and treatment of oral health issues (bruxisim, infection, decay) are crucial to implant longevity. In our office, we use titanium, Roxolid®, or zirconia implant posts and abutments from the innovator and leader in the the dental implant field, Straumann®. The posts are a long-term proven standard, with exceptional strength for reduced invasiveness. In addition to Straumann’s ground-breaking implant surfaces, Straumann implants also offer a unique portfolio of different dental implant materials or metal-free esthetics to meet the patient’s specific needs and requirements. Dr. Glaser prefers these implants because they attach to the bone more rapidly and promote rapid bonding as well. The exact size, shape and configuration of the titanium portions of the implant are custom-designed to work precisely for each implant that he places. When Dr. Glaser designs a dental implant, he uses the best material for the individual specifications of the patient and I make sure that the material chosen is compatible with your personal body chemistry. Dr. Glaser selects the base material for your implant based on a whole series of factors, including the type of tooth needed, the best match for your existing smile, and the durability of the material. He will always let you know what choices you have and let you decide what you want. After all, it’s your smile! Our lab will custom-craft the implant to Dr. Tyler’s specification, and the master lab technician and Dr. Tyler will make any necessary adjustments to color, shape or size to make sure that every implant is just right before he places it permanently. Titanium is a biocompatible metal. This means it is non-toxic and well-tolerated by the body. Implants made from titanium bond very well to living bone and have been used for decades in the medical device industry. Because of these attributes, titanium dental implants can last for years. 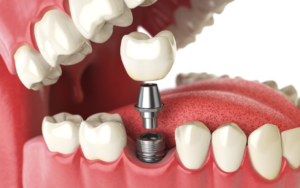 If you are looking for a metal-free alternative, there are options with ceramic implants. They are made from high-strength ceramic and designed to achieve maximum functional and esthetic demands. In cases of thin or recessed gums, the implant will not shimmer through, as it has the color of a natural tooth. It happens all the time: a tooth is damaged in an accident, or cannot be salvaged from decay, and needs to be removed. You needn’t be fearful if this is the case. In our office, Dr. Glaser will safely and quickly remove your tooth, in a gentle procedure that will not damage your underlying bone. In most cases we can extract a tooth and place an implant on the same day. In a very few cases Dr. Glaser may send you to a specialist to have your extraction. As a side note, there are some dental implant centers and surgeons that advocate removing healthy teeth and putting in a denture supported by implants instead. Dr. Glaser does not recommend this and prefer to focus on saving as many healthy teeth as possible using combinations of dental implants, all-porcelain crowns and bridges to avoid the need for dentures and unnecessary extractions. If you are considering dental implants, call us today to schedule a complimentary consultation with Dr. Glaser. Let Dr. Glaser examine your mouth, and determine if you are a candidate for implant surgery. A POST, made from titanium, is placed into the jaw bone to simulate a tooth root. AN ABUTMENT or connector, also made from titanium, is placed on top of the post above the bone. A CROWN, usually made from high-grade ceramic, is built around the abutment and looks and feels like a natural tooth. Brushing and flossing keep teeth healthy. But over time your teeth will stain and yellow as a result of habits and age. Stained dingy teeth make you look older than you are. There is no easier or more economical way to perk up your grin than whitening. 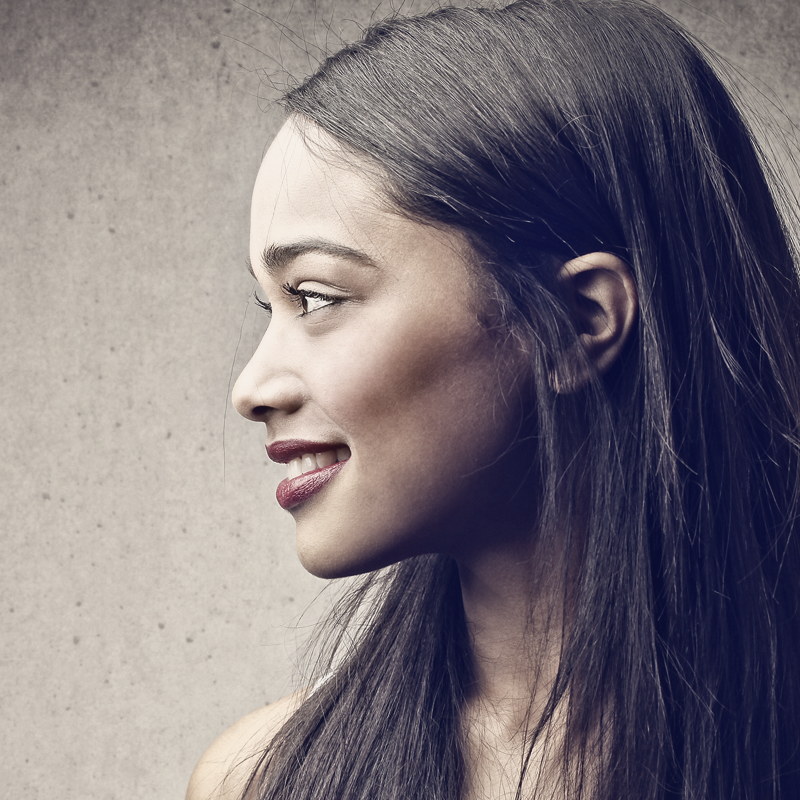 Dr. Glaser offers a few programs to keep you bright white. Our Bright for Life Program provides you with regular touch-ups for maintenance of your new bright smile. Once you make the initial commitment you will receive touch up gel syringes for your custom trays at your 6 month cleaning appointments. 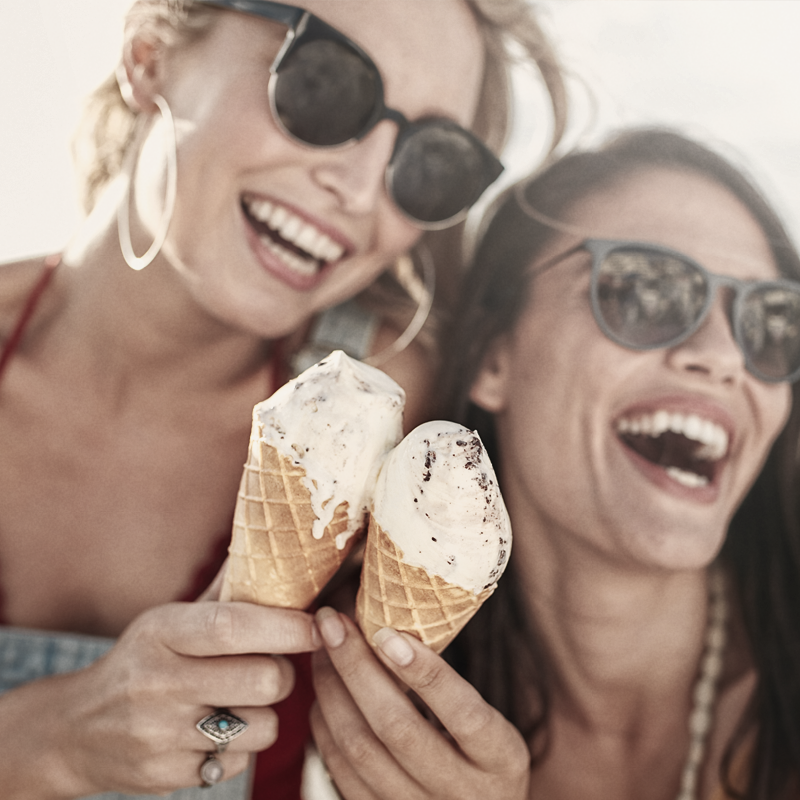 The cost is covered in your initial investment and you will continue to receive your whitening gel at your cleaning appointments as long as you maintain your 6 month hygiene recall with Dr. Glaser and his team. EasyPeasy! Bonding is a quick and affordable way to improve the appearance of teeth that are chipped, broken, cracked, stained or unevenly spaced. Bonding can also be used to fill small cavities and protect exposed roots caused by gum recession. A color-matched resin bonding material is applied to natural teeth and hardened with a special light. As with any procedure Dr. Glaser will asses your very unique situation and let you know if you are a candidate for bonding. Advances in technology have made veneers an accessible and beautiful way to get the smile you want. Veneers are thin or ultra-thin custom-made shells that cover the front side of teeth. The veneer is bonded to an existing tooth and can be placed on one tooth needing reshaping or Dr. Glaser can help with an all new smile.